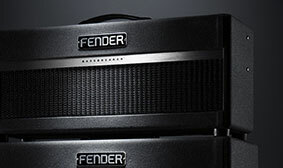 Flexibility is the name of the game for the flagship Bassbreaker 45 Combo, the latest evolution of the "granddaddy" of almost all amps—the '59 Bassman®. 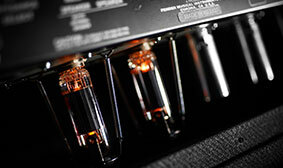 This amp delivers grit, crunch and grunt in style, along with mile-wide dynamic range and redefined dirty tube tones. This powerful, roadworthy beast dishes out plenty of authentic Fender sound with a modern twist. 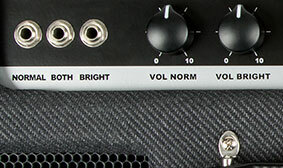 The "Both" input combines the Normal and Bright inputs without requiring an extra cable, creating deeply complex tone with increased note definition and dynamic response. Heard on countless recordings since the 1950s, this is the timeless guitar amp tone of the original-era tweed-covered Fender amps and their tweed descendants from every decade since, with remarkable touch sensitivity and sound that really comes alive when cranked.